A bad season for Gator basketball is about to get even worse. 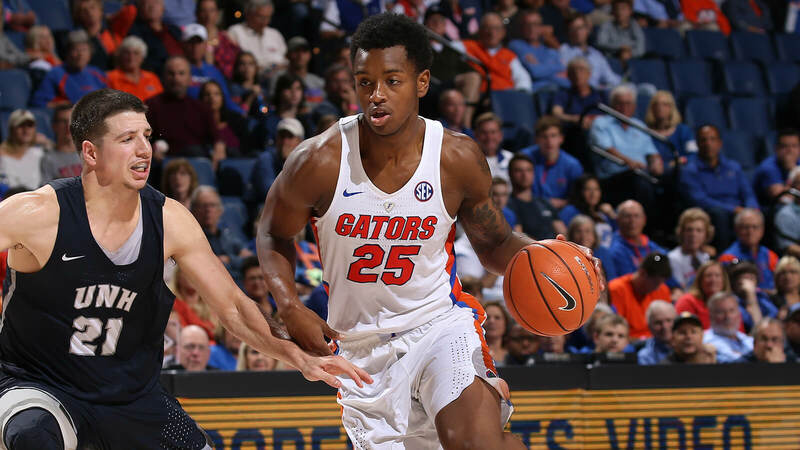 Florida forward Keith Stone has been confirmed to have an ACL tear in his left knee. He suffered the injury early the first half of yesterday’s win over Georgia, landing awkwardly and crashing to the hardwood at Stegeman Coliseum. Prior to the injury, Stone had been off to a strong start, scoring eight points and blocking a shot in nine minutes of action. Stone will undergo surgery soon. Recovery from an ACL year typically takes between 9-12 months following the surgery. That means that not only is Stone done for the 2018-19 season, but is very likely gone for the entirety of the 2019-20 season as well. Of course, I wish nothing but the best for Stone in his recovery, as that’s by far the more important issue, but now Florida is in deep trouble. Already weak in the front court with Gorjok Gak out for an undetermined amount of time, Florida is now down two of its primary options down low. And thanks to Mike White’s inability to recruit additional big men, not only do the Gators not have depth in the interior, they barely have enough bodies to put on a scrimmage. Unless somebody steps up who was not expected to, this could be a bumpy ride for the foreseeable future.